As Washington, DC has seemed to jump from winter to summer, the politics of immigration reform are heating up. For the rest of this week, the Capital will be inundated with activists, lawyers, politicians and celebrities all advocating for immigration reform. Among all this activity, the Senate “Gang of Eight” is prepared to release their proposed bill. Rumored to be nearly 1500 pages, the Gang of Eight will provide the meat on the bone that all of us have been waiting to chew on. Benach Ragland will provide you with the latest and most comprehensive information regarding the politics, the proposal, and discussions as to how the proposals will affect the lives of immigrants. 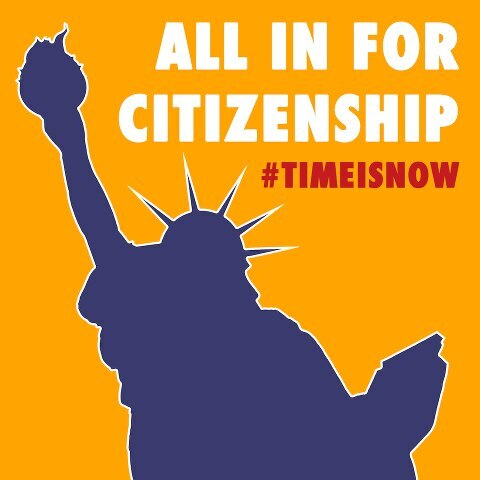 Today, April 10, 2013 at 3:30 PM on the West Lawn of the Capitol, tens of thousands of immigrants and their friends will hold a rally for commonsense immigration reform that includes a path to citizenship. Over the past few days, buses of immigrant supporters have departed from cities all across the United States to attend the rally. Along with the rally, immigrants are lobbying Congress, meeting with the media, and demonstrating the urgent need for immigration reform. Tomorrow, on April 11, the American Immigration Lawyers Association (AILA) National Day of Action for Immigration Reform is being held. Immigration lawyers and their clients will meet with their representatives to share their stories of the hardships of the U.S. immigration laws. If you can not make any of these events, we urge you to make your voice heard by contacting your representatives. Finally, we learned today that the Gang of Eight will release their bill as early as Thursday, April 11 and the House is not far behind. As deportations continue, people organize, and the CIS runs out of H visas in a week, the urgency of immigration reform could not be more obvious.